Diocese of Lincoln is the Church of England in Lincolnshire, North Lincolnshire and North East Lincolnshire. The diocese’s vision is to be a healthy, vibrant sustainable church, transforming lives across greater Lincolnshire through our mission priorities of faithful worship, confident discipleship and joyful service. The Strategic Programme Manager will manage the diocese’s bold new programme to resource the urban church and revitalise our urban centres through a network of three diverse resource churches and eight new urban-centre church plants. This programme has an initial five-year budget of £6.5million, £2.67million of which comes from the national Strategic Development Fund. The programme aims to grow significantly the number of people worshipping in our urban centres. The Strategic Programme Manager will also manage and develop the diocese’s learning communities programme, improving the quality, reach and imagination of our churches’ ministry and mission in all contexts through shared learning and working. The role is full time at 37.5 hours per week and based at Edward King House, Lincoln. Application deadline: Sunday 12th May 2019. Interview date: Wednesday 29th May 2019. Interviews will be held at Edward King House. Regular reporting to various governing bodies, including programme boards, Bishop’s staff, the Bishop’s Council of Diocesan Trustees, and the Church of England’s Strategic Investment Board. The ideal candidate will have proven programme management experience in a complex organisation, strong influencing skills and be committed to enabling spiritual and numerical growth. Your strategic, organisational and analytical skills will be complemented by your ability to engage stakeholders, manage change and communicate effectively. This post is subject to an occupational requirement that the holder be a communicant Anglican under Part 1 of Schedule 9 to the Equality Act 2010 as the post holder will represent the Church of England and will have proven experience in and a passion for the practice and theology of effective ministry in the Church of England. 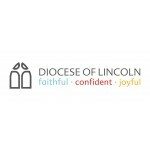 The Diocese of Lincoln is the largest historic diocese amongst the Church of England’s 42 dioceses, covering 2,673 square miles, with more than 600 parishes organised in 150 benefices. It is a diocese of great contrasts, with the beauty of the region and prominent rural life, as well as established industry and some socially and economically challenged areas within urban, coastal and rural communities.